Inspiration often strikes in the strangest of places and, even stranger still, at times, whilst you are off desperately searching for it, you find yourself unknowingly, completely unintentionally, inspiring others too. Well, at least, that appears to have been the case here. 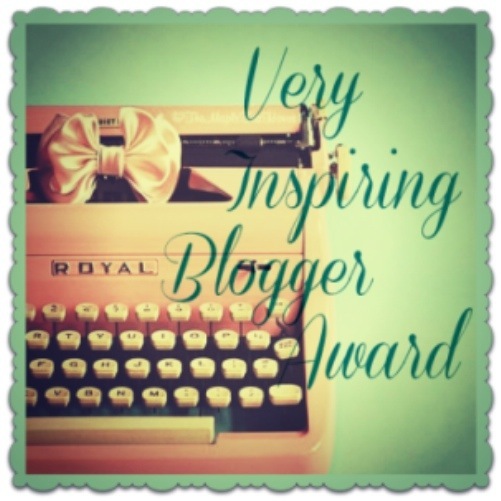 The lovely Tempest Rose has all too kindly nominated me for the Very Inspiring Blogger Award. When I began blogging a few months ago, I was inspired to do so by a dear friend (more of her later) but never even dreamed that others, strangers, would chose to read, let alone enjoy, my words. Over those few months, Tempest Rose has stopped being a stranger. When her face appears in my new notifications I smile because I know that she has chosen to come back again. And, with that in mind, I am so pleased to receive this nomination from her. However, this has also arrived at the very moment I needed it. As I come to the end of a holiday where I have neglected all my best blogging habits it provides a perfect opportunity for me to reconnect with my writing and take some time to re-read the words of those I admire. Thank you. 1) When asked to provide a fact about myself (interesting or otherwise), I freeze. I hate the pressure. What should I say? I appreciate the irony of this coming from someone who choses to blog about their life. I should probably discuss it again at length with my therapist. 2) I am a total book snob. If you recommend a book to me, you can guarantee I will not read it. This included my set text for A level English. I am strangely proud of this and ashamed by it in equal measures. I can’t see myself changing. 3) Three is my lucky number. I cannot tell you when or why this became the case, I cannot provide a single example of a time it has brought me good luck and I am not even superstitious but it has been this way for a while and I’m sticking with it. 4) (Sorry Andrew but…) I am my Nanny’s favourite. 5) I consider having neat handwriting to be one of my greatest achievements. When I learnt that my friend, Emma, felt the same way about hers I knew I had found a friend for life. However, please note, she asks me to write the label anything important for her. 6) I am absolutely, unbelievably, hideously vile if I do not get enough sleep. I consider enough sleep to be a full eight hours. To prevent or combat this I am prepared to go to any length including putting on my pyjamas and going to bed before 6pm whenever possible despite having learnt the hard way that you can’t bank sleep. 7) Once I start talking about myself, I find it hard to stop. Strangers know some of my deepest, darkest secrets. Space 4 Mum The lovely Laurenne. The reason why I blog and a wonderful woman writing about the experience of motherhood from a refreshing perspective. Long and Luxe Beautiful words from a stunning soul. Love Happy Notes Positivity and pretty, poetic words. Cogito Ergo Mum Simple straight talking that will make you smile. Sober is the new black Watching his number rise daily is inspiration in itself! Feet fixed. Toes spread. Rooted to the earth. Engage and zip up from below. Tall now, really tall. My head pulled up to all that is possible. My heart open. What might be? 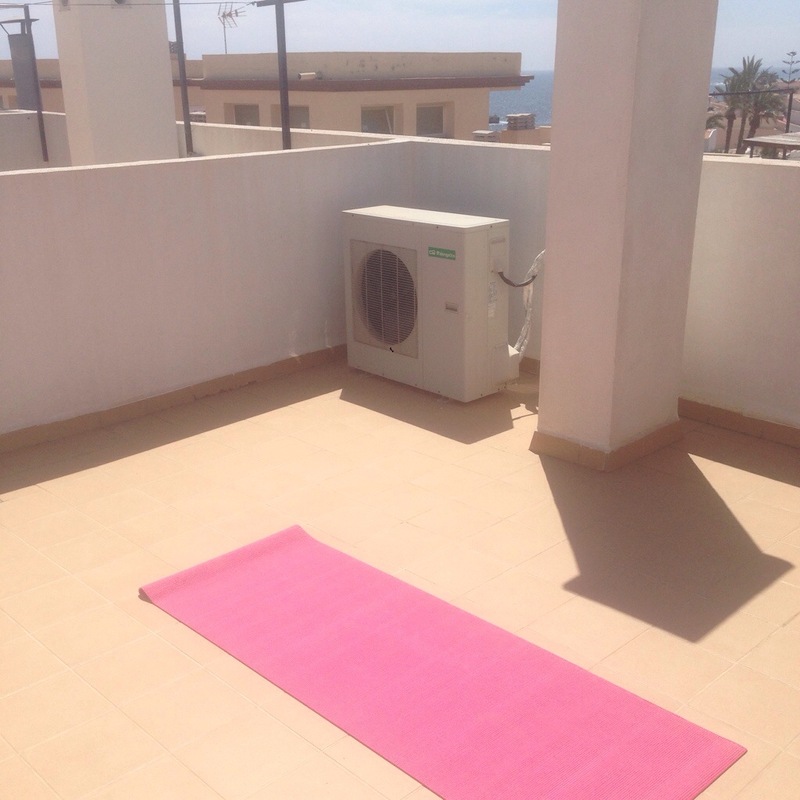 …exhale and dive down. Stiff at first, it seems more a sigh. Then blood rushes around my ears and fills me with that force. Energy. Determination. Inhale. Look up. Feel it again. Hold and step back. Strong. Powerful. Passionate. My favourite moment. One that can’t last just like all the others. …push forward to reveal the imperfection. Inhale. Almost. Beauty and grace and goodness bending back and looking up. Again, it can’t last. Exhale. Push back. Tight legs, bent knees, heels that just won’t reach the ground; flawed. Sink a little deeper. Feel it. Hands spread to hold firm and the rush returns. Inhale. Find that world once again. Mine, all mine. All that is possible. All that is real. All that might be. Exhale. Hands pressed at heart. Peace…begin again. 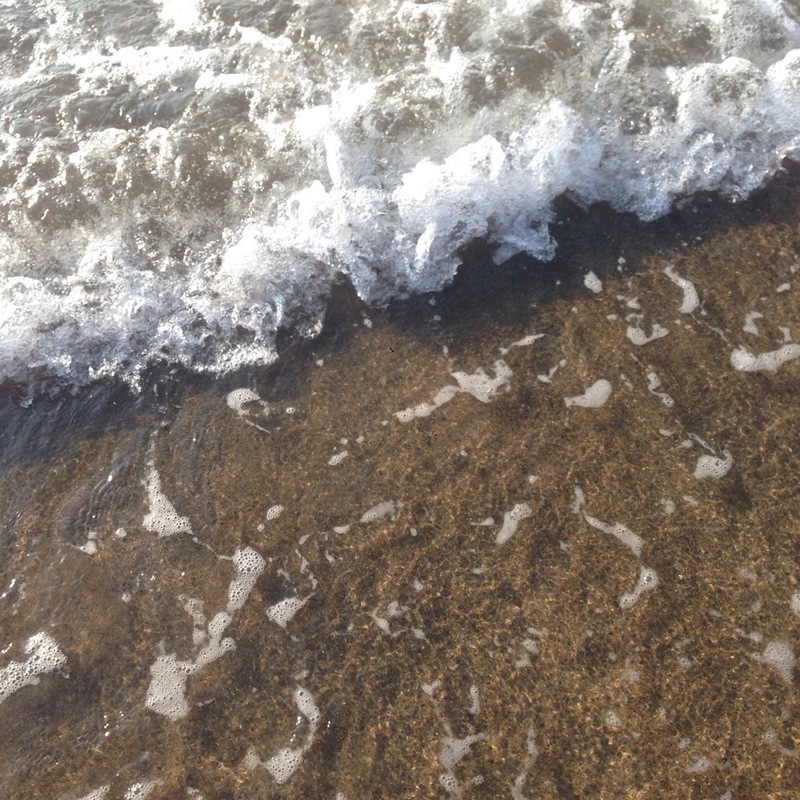 I stand on the sand as the cool water rushes over my feet and between my painted toes. I stare out from behind shaded eyes into infinity and find that same familiar desire to run; to disappear. The fiery sun faces me in fierce confrontation and I become aware of all the anger still there inside. Anger that sometimes seems a thing of the past but will whisper to me now and, as I recall, whenever I allow it. Or, when I don’t but have been fighting it for far too long. I wish it away and begin to walk. With my steps (and even without them), the rolling waves race up and fizz before fading away to a soft shimmer and sparkle on the sand. Pebbles crack. The white ripples will me in. As I walk further, the will becomes a pull; strong and determined and never, never giving up. The cool water feels fresh at first as it envelopes more and more and more of me and, once wet, the warmth begins to work. The rushing waves call out again and again until there is no other sound. And no more steps. The horizon bends and shifts with strong peaks that appear and disappear as they turn white and rush towards me. Their power forces me to fight to stay afloat. Conscious, well timed jumps at first that still manage to knock me back and send me under despite all of my best efforts. Salty spray splashes my face and my sunglasses suddenly seem cumbersome and redundant. The crash of the waves repeatedly beats out a sound that defeats all others. And then, the rhythm. The gentle bobbing back and forth. I am free. Without the fight, I kick my legs in the dark depths and the resistance of the water seems to become something I am working with, not against. My limbs are lost within the unknown and I am forced to forget my fears as the enormity of the weight and number and fatal, almost inevitable, implications simply seems too much to bear. I am free.